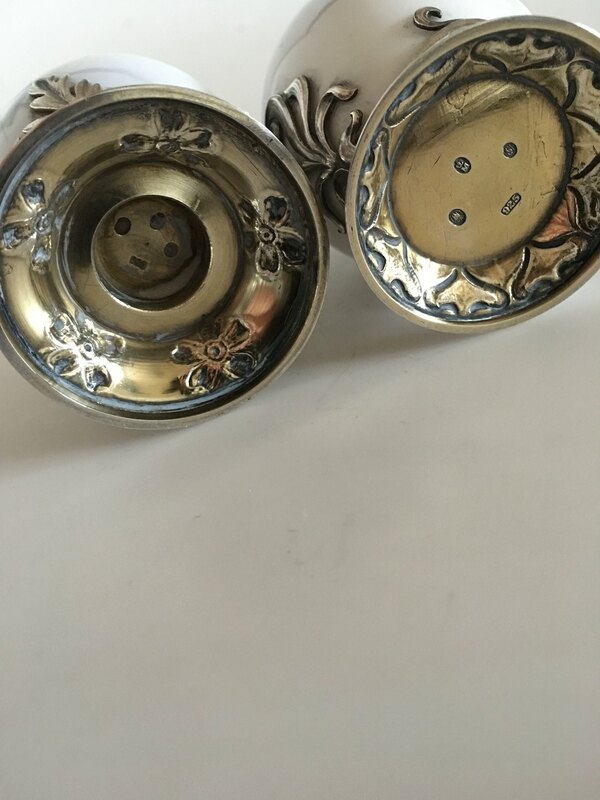 WorldAntique.net - Pair of Royal Copenhagen Art Nouveau Eggs with A. Michelsen Stirling Silver Mounted Pieces. 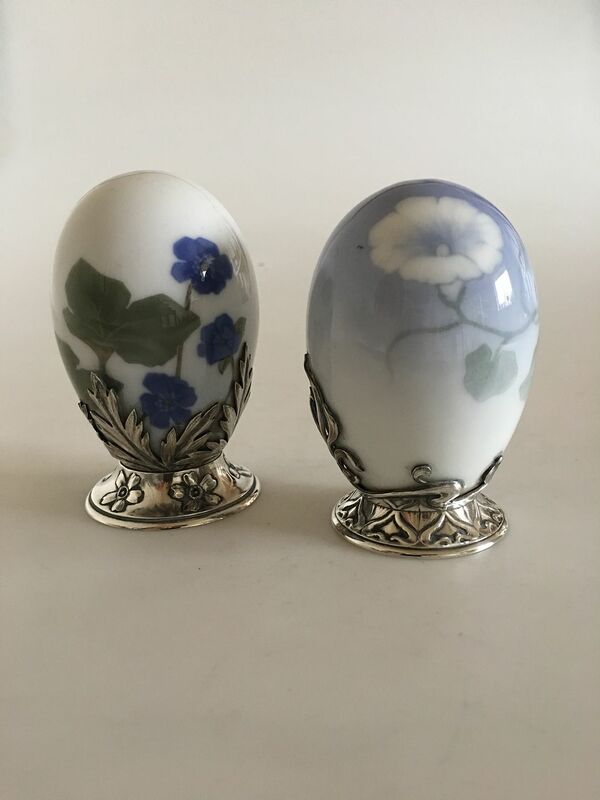 Pair of Royal Copenhagen Art Nouveau Eggs with A. Michelsen Stirling Silver Mounted Pieces. 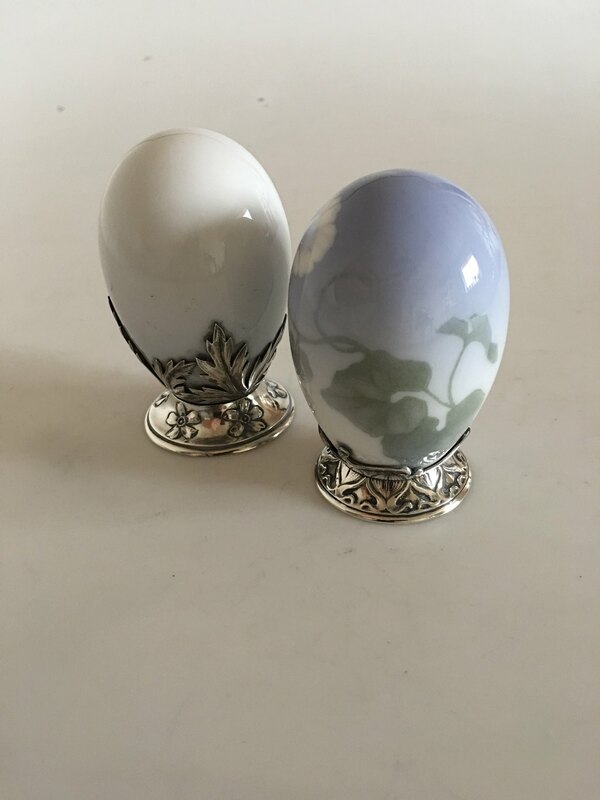 Pair of Royal Copenhagen Art Nouveau Eggs with A. Michelsen Stirling Silver Mounted Pieces. 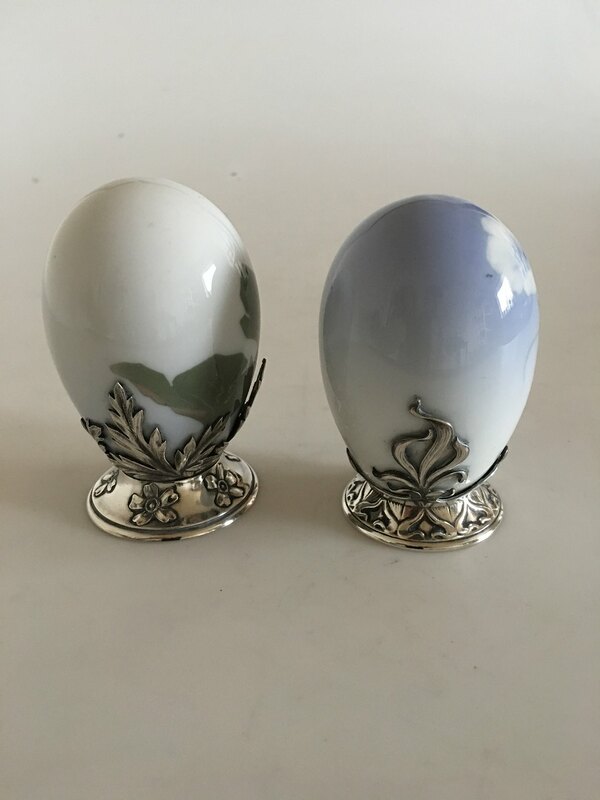 The Porcelain eggs are in perfect condition. Both are 9 cm tall (3 35/64"). The listed price is for the pair, if you are only interested in one og the eggs, please contact us via phone or email.